Welcoming Autumn with These Artworks for Sale! The change of seasons has unquestionably inspired artists to create some of the most memorable works in art history. Autumn, for instance, is quite impressionable because of the myriad of colors it brings; the nature becomes magically transformed by a powerful interplay of orange, red, yellow and brown, and it evokes certain feelings of tenderness, nostalgia and romance. On the other hand, autumn can remind us of rain and thunders meaning unrest, melancholy and boredom. This ambiguity related to this season seem to be of artists’ constant interest, so we prepared the list of ten exquisite art works inspired by autumn which you can add to you collection right now. 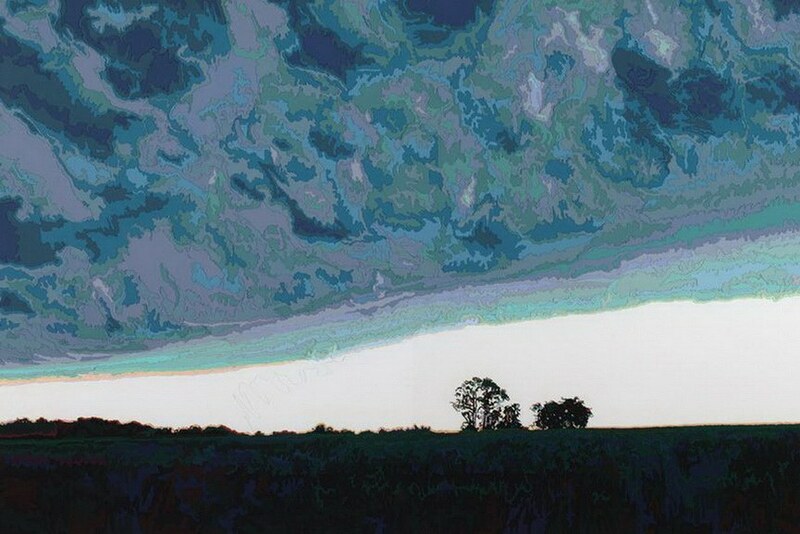 Featured image: Deborah Claxton – Storm Clouds, 2003. All images courtesy of their respective galleries. Mark Mastroianni is a New York-based artist known for his unique works on gessoed tar paper and mixed media paintings. By combining abstraction and figuration, he creates narratives fulfilled with representational clarity and atmospheric intensity. This particular painting titled Autumns Nights Study was produced in 1997 and is an oil on linen. 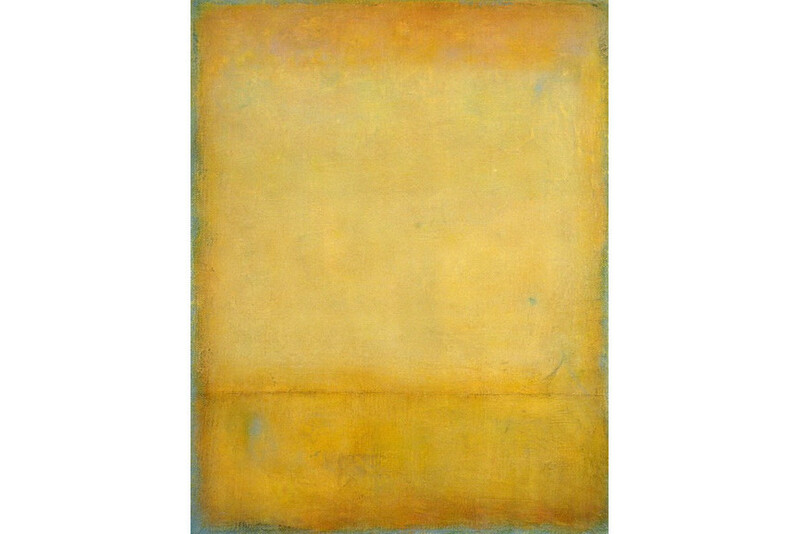 It evokes the fall colors in a monochromatic manner reminiscent of Mark Rothko and the Color Field movement. See more info about the artwork here. 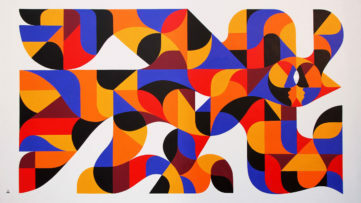 The following artist is the legendary Robert Indiana, best known for his involvement with the Pop Art movement. Throughout the years, the artist released an extraordinary body of work centered on bold and simple words and numbers. One of the most celebrated works of his is the famous LOVE print from 1965 which became a sculpture couple of years later and finally a symbol of New York. 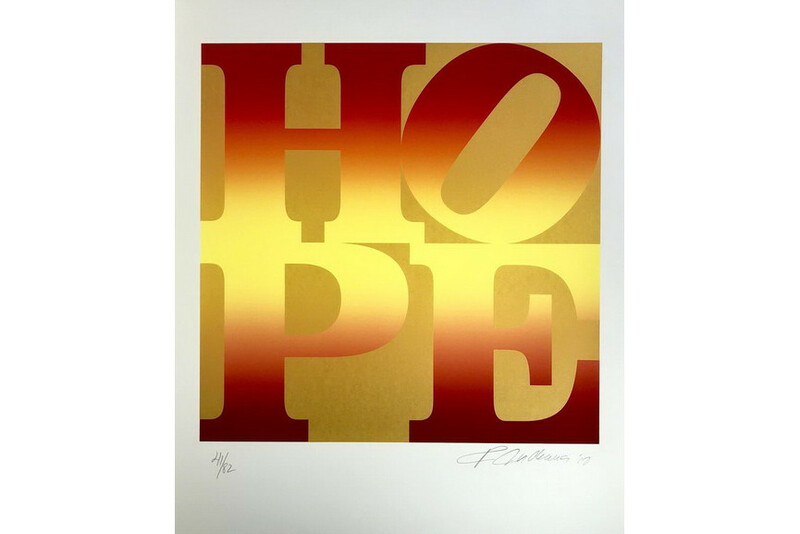 The work HOPE is a print series released in 2012 and it illustrates how the artist explored the meaning of the selected word by positioning and coloring the letters differently. Next on the list is a French contemporary photographer Christophe Jacrot. For more than three decades, this prolific figure has been contributing to this medium, although he directed a few awarded short films as well. In recent years, Jacrot developed a project focused on bad weather in major cities of the world. The photograph Rain Beauty, Hong Kong belongs to his the Rain series and was produced in 2010. It shows a regular urban scene of a woman trying to get away from the rain. 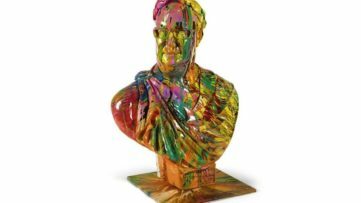 Deborah Claxton is an American artist who devotedly examines the domains of sculpture and painting. The artist often develops a map with hundreds of designated numbered points of color which is then enhanced with layers of paper that have been cut by hand into collage format. The work Rain Drops was produced in 1995 and it serves as a really good example of her creative process. As a matter of fact, the metaphor of autumn is represented with a motif of raindrops on a leaf. Following up is Enrique Mestre-Jaime, a Spanish artist known for his surreal, yet comforting narratives. Mostly done with acrylic, his paintings are representing marine worlds inhabited or emptied of life. The appearances of boats, pirogues or animal heads in the desert tell much about the artist’s need to articulate the importance of water as a main source of life. The painting Après la pluie was produced in 2016 in a technique of collage, acrylic, and oil on canvas. The second painting on a list of Deborah Claxton is called Storm Clouds and was produced in 2003. It represents a landscape in an undetermined time of the day. Whether it is dusk or dawn, the focal point of the canvas is a darkened sky, a motif which often brings an undesired and unpleasant change. By carefully coloring the sky with a different shade of blue, Claxton builds up a rather expressive sight full of tension and beauty. The American contemporary artist of the younger generation, Ashley Oubre quickly gained recognition for her sophisticated black and white works. She often uses graphite powder, pastels, and India ink in layers to create a hyper-realistic imagery. The female subjects Oubre depicts seem to be socially damaged, so then it can be said to the certain extent that her practice is based on a feminist agenda. 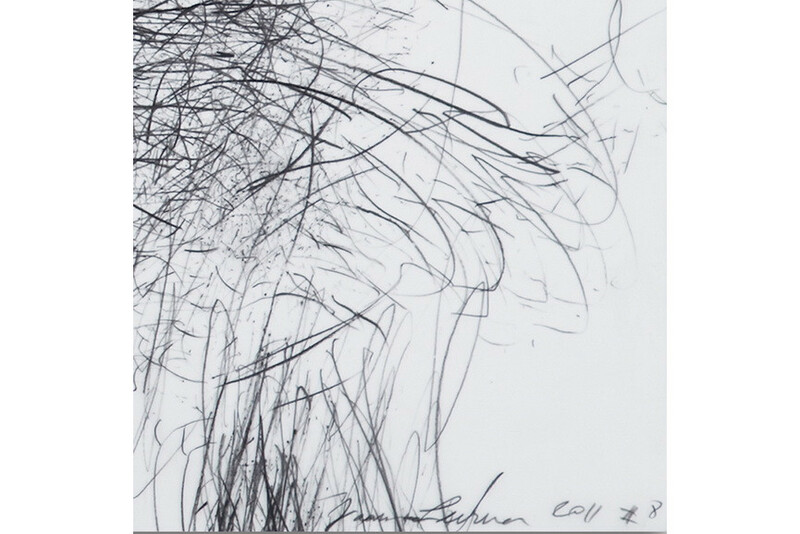 The work Cloud Formation 2 is a drawing made in 2017 and it reflects the artist’s need to transcend reality and reach new and outwordly experiences. The next artist on the list is Jaanika Peerna who is an Estonian-born artist living in the United States. She creates drawings, videos, and light installations which reflect her interest in transitions in light, air, wind, water, and other natural phenomena. The artist often collaborates with dancers and musicians. 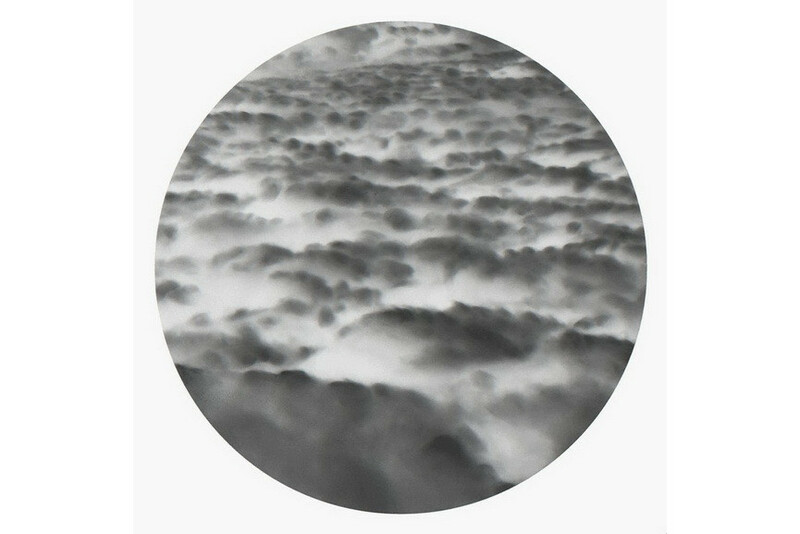 This particular work belongs to the Storm series from 2011 which was made in the wake of hurricanes Irene and Sandy and was aimed to capture the moment when clouds turn into rain. 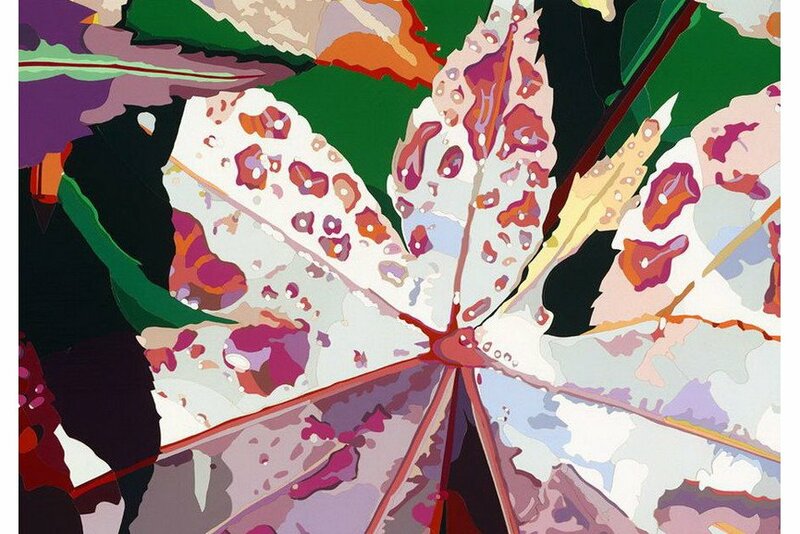 One of the best known American artists who explores the images of food is Margaret Morrison. Her meticulously done still-life and surreal paintings evoke the myriad of shapes and colors present in food; the larger-than-life paintings of food can be perceived as memento mori compositions from the Baroque period. 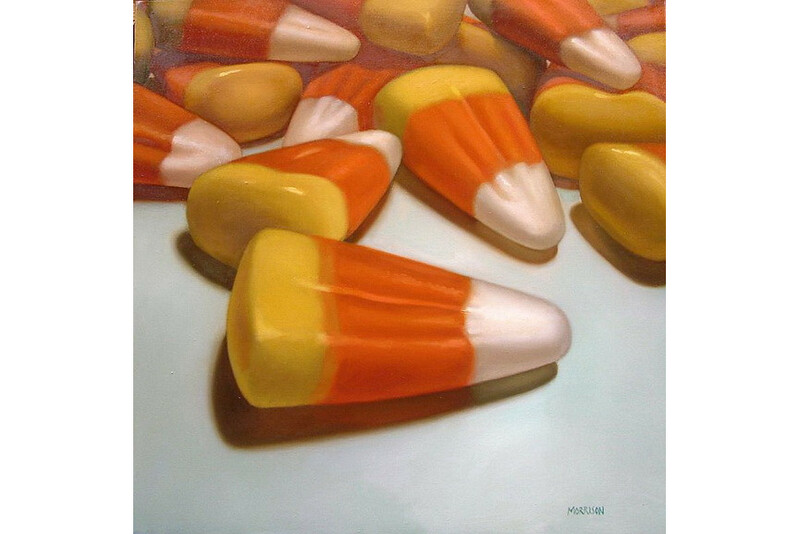 The work Candy Corn produced in 2007 pays homage to autumn; it encompasses her passion for candy and the brilliance of their forms, as well as their succulence and delightfulness. The last but not least on the list is the artist Nicole Pon Horvath. 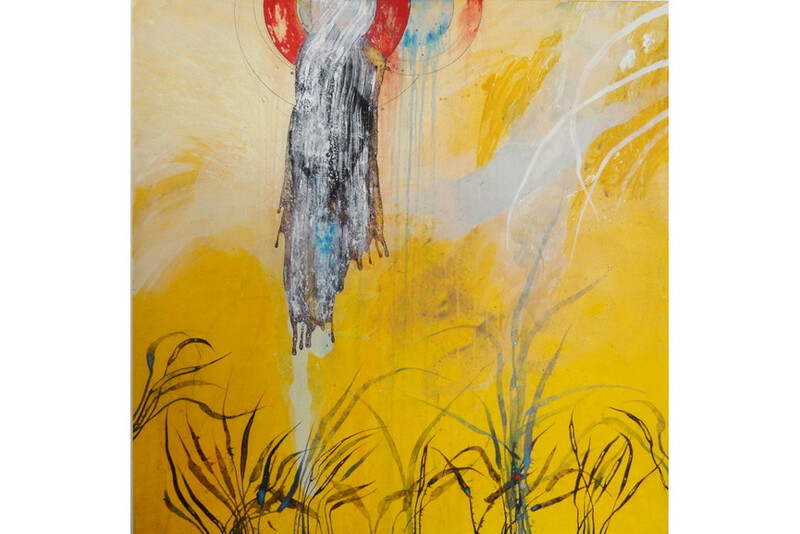 Her entire practice is interwoven by experiences from the period of studying traditional Japanese painting disciplines. 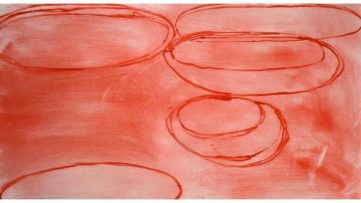 The artist is focused on expressing the transformation of emotions through depictions of natural environments, so each work of hers can be perceived as a tool for contemplation. 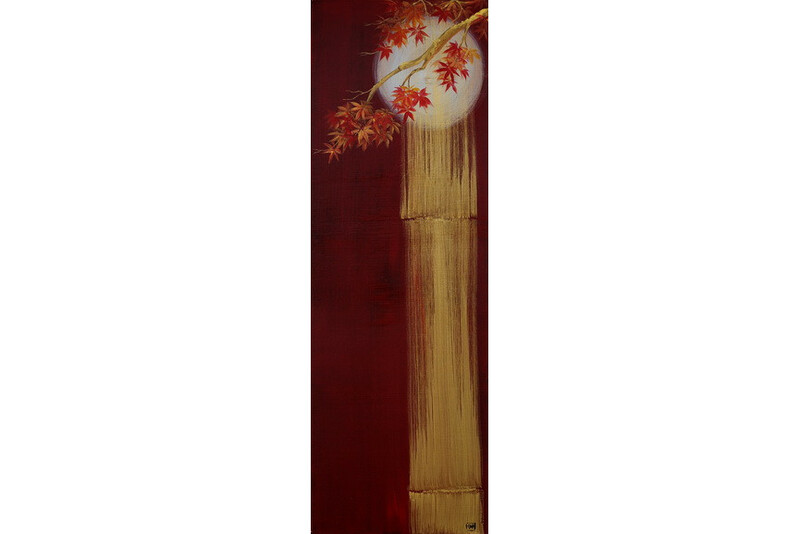 Full Moon, Bamboo, Maple is an acrylic on canvas which perfectly illustrates the change of season, in this particular case autumn, and the artist’s general interest in natural processes and cycles.